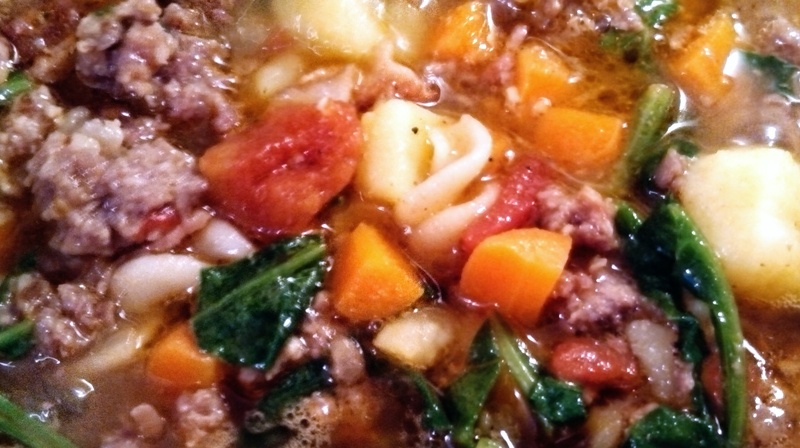 I’m not posting this recipe because it’s complicated, I’m posting it because it’s so dang simple. My sister makes wings and I always think, “Sheesh, way too much work for such little meat!” Even though she said it’s easy I don’t believe her because she makes intricate cakes and cupcakes and cookies and whatnot. Stuff I don’t have the patience for. I love food, but I hate messing stuff up. 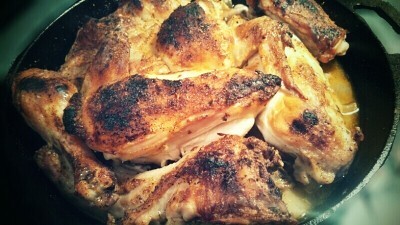 Plus, I was always intimidated by cutting up the wings. So unless they came pre-cut on sale, I never buy them. That said, I’m working on the best recipe for smoked wings. I’m not there yet. But in the meantime, this is a good go-to. 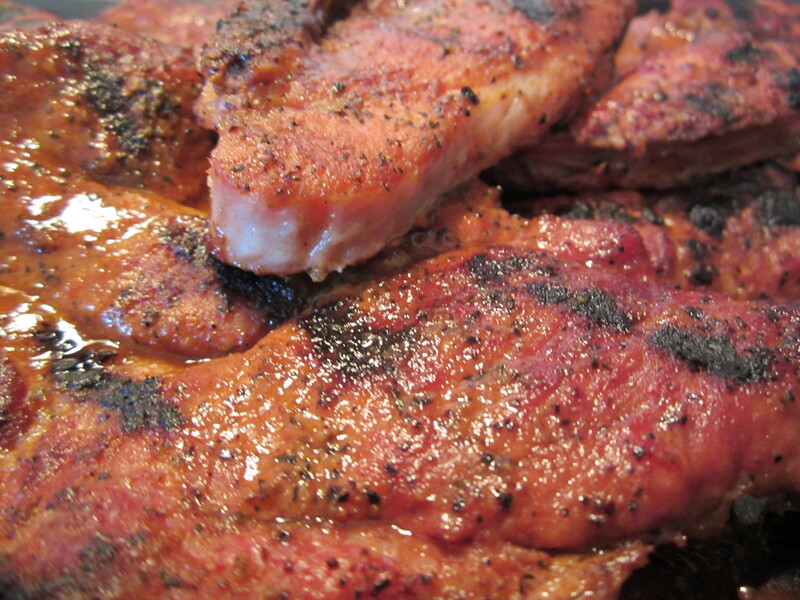 Again, like the St. Louis BBQ steaks, would be a perfect 4th of July food. Or once it cools off, a football or basketball game watching food. Basketball season, I miss you (NBA doesn’t count for me). So, here it is. 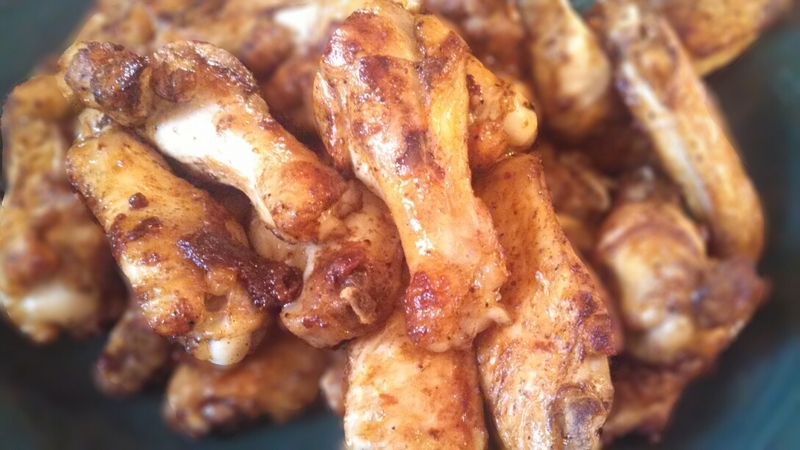 A super-simple recipe (along with a short video to show you how to cut wings if you never have). Normally I don’t waste my time posting a replicate or review of another site’s recipe. Partially because I generally change the recipe and then link to the origination of its former self. But also because, why reinvent the wheel? But, in this case, I think you fellow Wichitans should take advantage of pork shoulder steaks and make this happen. Soon. Maybe on the 4th of July? That’s when I plan to make it again! So, what do we have? Well, we have a replica of Cook’s Kitchen’s recipe, with one clarification (it frustrates me when a cooking show that claims to be scientific misses the specifics), and one modification for my tastes. 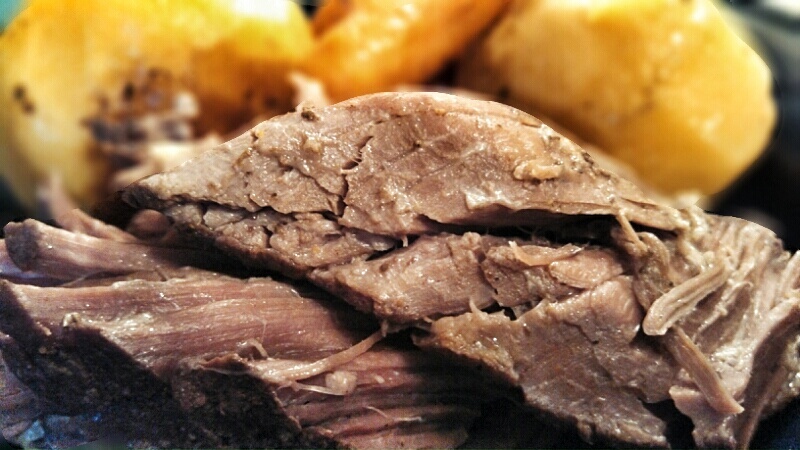 First, let’s get our salivary glands going with an unnecessarily close up shot of meat. Mmmmm. Meat. Seriously, I am NOT a huge BBQ fan, and this is delicious. I don’t lie. Why would I? 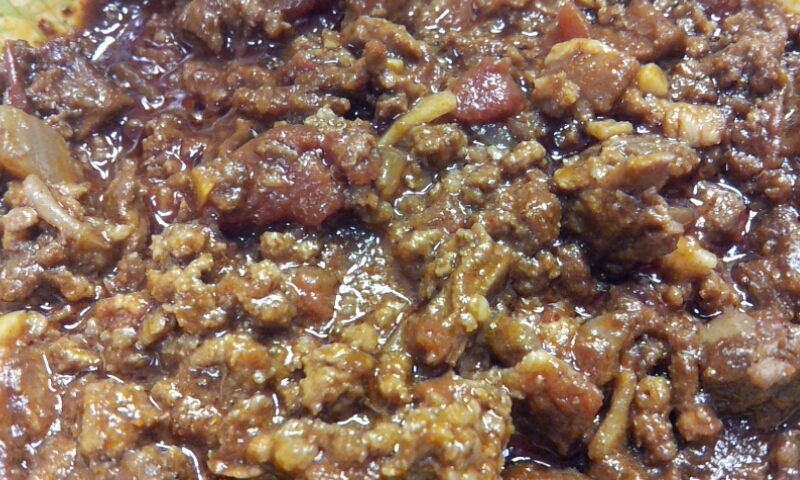 Today I have a beanless chili recipe for you. It has instant coffee (don’t freak out, it really is good). It has cocoa powder. It has bacon! 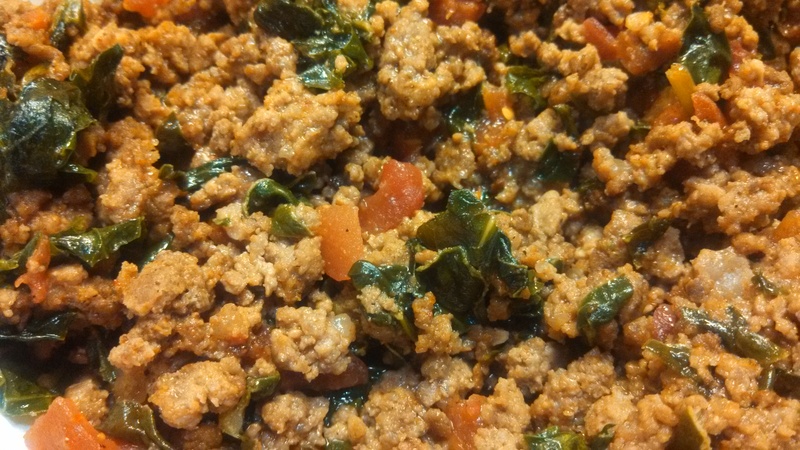 It’s ALMOST paleo, but I couldn’t resist adding a little hot Italian sausage. And if you’re generally disappointed in the texture of beanless chilis (I can relate), it also has cubed chuck for a variety of texture. If you have any reason to eat beanless chili (diet, your spouse has threatened to divorce you if you dutch oven her one more time, a new variety in chili), give this one a shot. And make changes to it if you’d like. I’m sure it can be improved. But I wanted to document it so future Kelly, who forgets things, will always have this one shining moment in her kitchen documented.